Saints and Stones Tours We’d recommend a Saints and Stones tour, exploring the Pembrokeshire’s Celtic Christian inheritance – either tour the sites yourself, or book a guide. We have included information in your room pack. Marine Ecology Tours Explore the county’s rich marine ecology with expert and lecturer Powell Strong, who knows a great deal about local whales, dolphins and seals, and where best to see them. Archaeological Tours Book an expert guide from Archaeotours to show you the archaeological highlights of the Landsker, and beyond, from castles and hill forts to chambered tombs and standing stones. The wild and uninhabited islands of Ramsey, Skomer, Skokholm, Caldey and Grassholm offer great walks, spectacular views and wonderful wildlife. If puffins, seals and exploring stunning coastal landscapes are your thing, the islands are a must. You can skirt the islands on a boat trip, or take a ferry boat over to explore them on foot. Contact Haverfordwest Tourist Information Centre for an overview of your options. A pleasant boat trip from Tenby harbour takes you to Caldey Island, which is rooted deep in history. Inhabited by monks since the Golden Age of the Celtic Church, you can visit the monastery, watch the chocolate maker or explore the island on foot. Definitely one of our favourite Pembrokeshire days out! Run by the National Park, Castell Henllys is a reconstructed Iron Age hillfort near Nevern, which delves into Pembrokeshire’s Celtic past. It includes replicas of Celtic round houses built on their original foundations. Great for kids. Enjoy a Pembrokeshire day out surrounded by nature – The Welsh Wildlife Centre and Nature Reserve, in Cilgerran, includes wildlife trails overlooking the Teifi Marshes Nature Reserve. And don’t miss Llangloffan Fen nature reserve near Mathry, which is one of our personal favourites. Blue Lagoon Water Park, Canaston Wood near Narberth has sub-tropical temperatures, super indoor waves, flumes and hot tubs, perfect for children of all ages and adults. There are also wet and dry cafe areas. There’s also a good swimming pool at Fishguard leisure centre. Children should have a great time at this soft play centre in Merlin’s Magic, Haverfordwest. There are ball pools, slides, rope bridges and a safe area for those under 5 and a café for the adults! Pembrokeshire’s wide range of theme parks includes Folly Farm Adventure Park and Zoo, Clerkenhill Adventure Farm and Frizbee Golf Course, The Dinosaur Park, and many more! 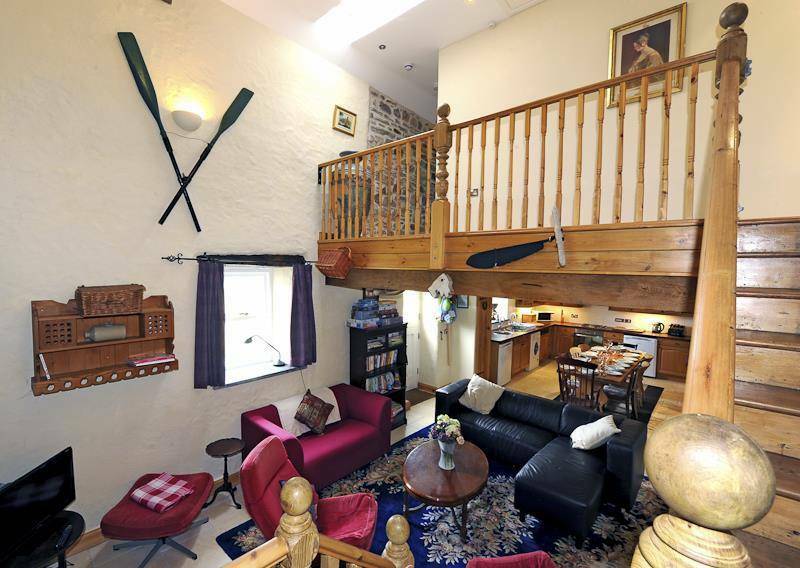 Everything, from the chilled wine and local produce hamper on arrival through to the underfloor heating, swish bathrooms and log burners – even the option of a personal chef – brings you a 5-star Pembrokeshire holiday like no other. Wonderfully secluded, surrounded by 22 acres of private grounds, yet only 4 miles from the Blue Flag beach of Newgale Sands and within easy reach of Pembrokeshire’s main attractions, the location is brilliant. 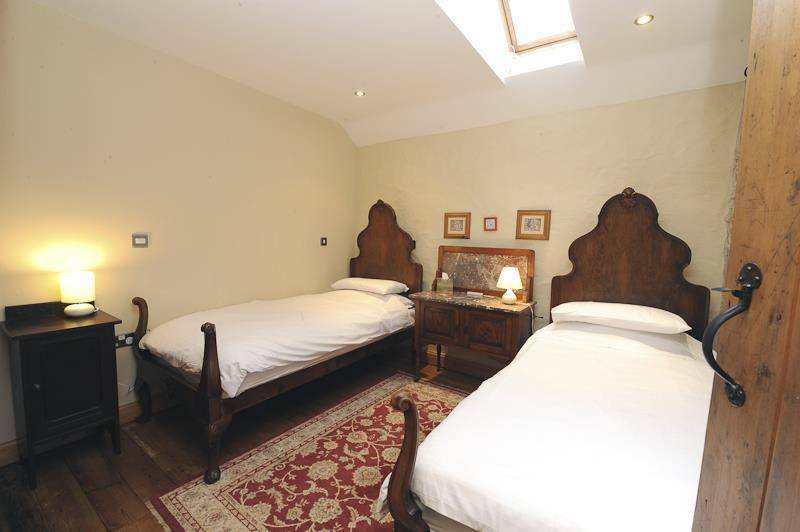 5 to choose from… Choose from 5 spacious barns, each sleeping a maximum of between 4 and 7. 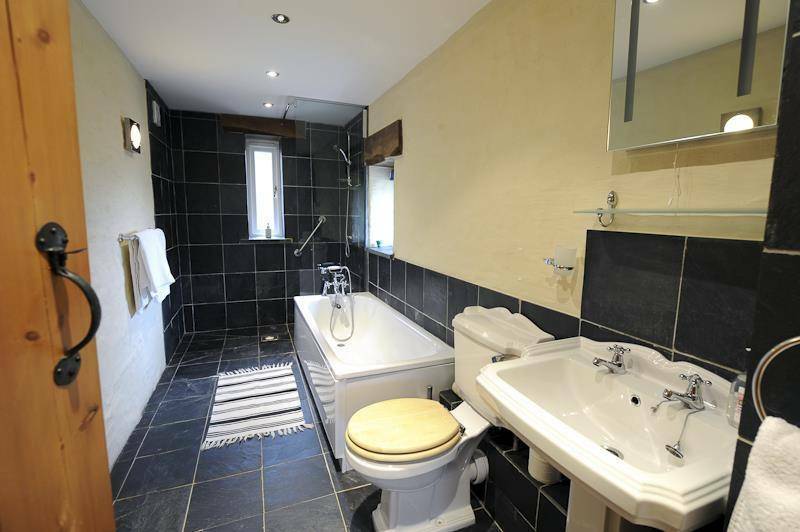 They blend the traditional and modern, so you’ll find swish bathrooms and state-of-the-art renewable energy alongside oak beams and exposed stonework. 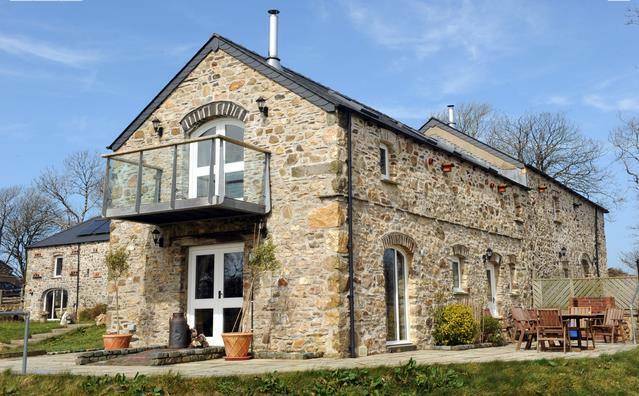 The Stables (Sleeps 7) The old nags are long gone, so we’ve transformed these stone stables into the largest eco barn on the farm, sleeping 7 in comfort and luxury. 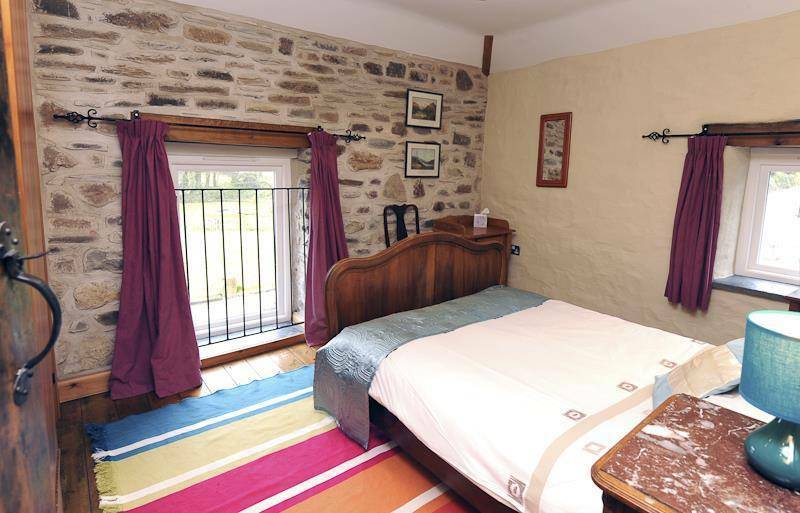 With its 2 double bedrooms, one a luxurious master suite with great views and an ensuite roll top, and a delightful triple room ideal for families and kids, this eco barn is popular with large families and groups of friends. The 40ft long living/dining/kitchen space, with a log burner for nights by the fire and galleried landing above, gives guests all the room in the world to spend time together. And don’t miss the private patio and BBQ area, ideal for summer relaxation or even some midnight star gazing. The Barn (Sleeps 4) Once the farm’s general barn, we’ve replaced the bales of hay with something even better… smiling holidaymakers! 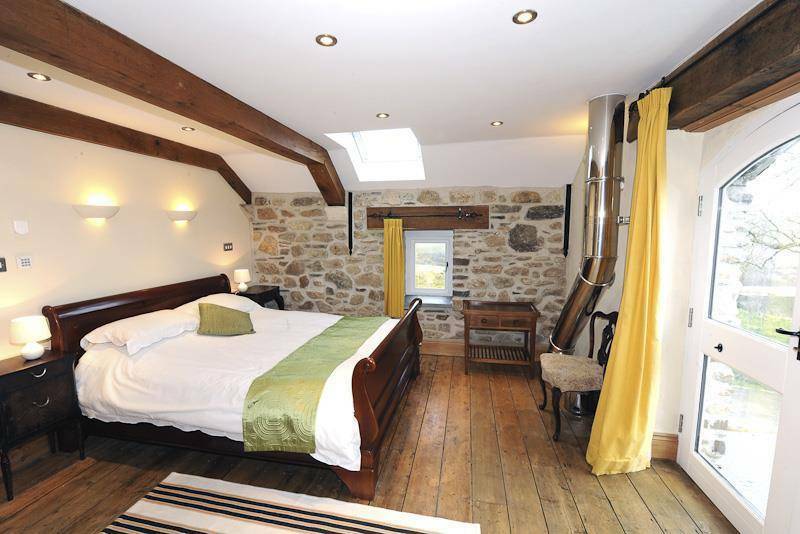 This oasis of charm sleeps 4 in luxury in its 2 ensuite double bedrooms. A few features we must mention are the galleried landing, a delightful open plan kitchen, dining and living area with log burner, and a patio perfect for BBQs and al fresco dining. This barn’s particularly popular with couples and young families. The Grain Store (Sleeps 6) Originally the old grain store to the farm, this light and airy eco barn is all about stylishly modern double height living, kitchen and dining area. It will sleep 6 in its 2 doubles and 1 twin room, and there’s a bathroom on each floor. This really is the perfect choice for your holiday or short break. How does The Grain Store stand out? Well, there’s the double height living space to start with, and this is the corner eco barn, so it’s got the largest patio of them all for BBQs and al fresco enjoyment. 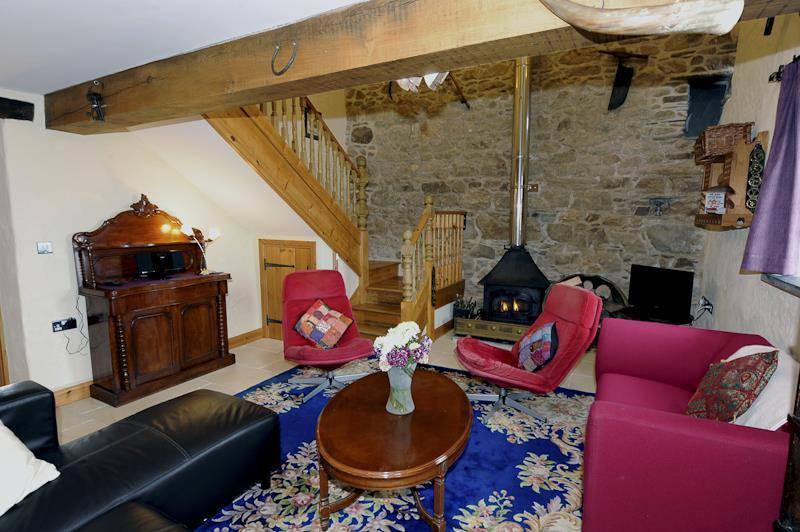 There’s a log burner which gives an added snuggle factor, and don’t miss the fantastic oak beams either, which really add character to the place. The Cowshed (Sleeps 6) Blodwen’s busy eating buttercups in pastures new, so we turned her old home into this delightful eco barn, which sleeps 6 in its 3 comfortable bedrooms – a king, double and twin. The King suite’s first floor balcony is just perfect for that early morning cuppa, pre-dinner drinks or even a spot of stargazing. 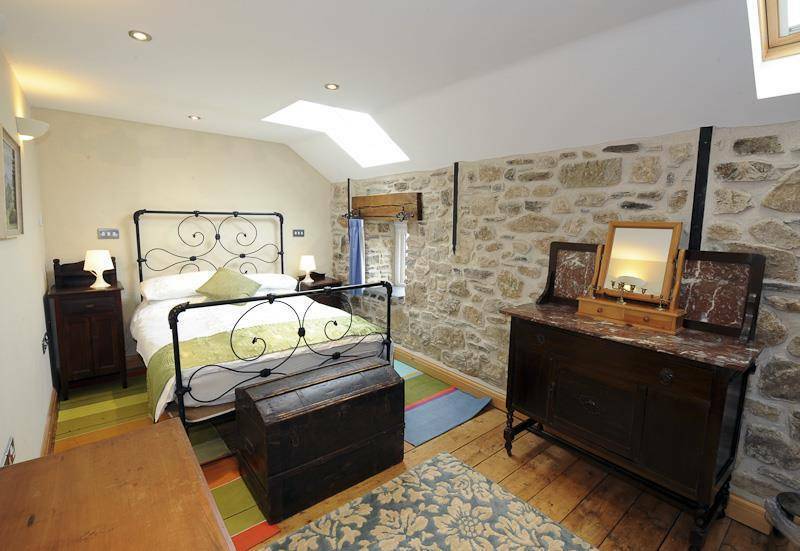 The Cart House (Sleeps 6) Originally the old cart house to the farm, this eco barn is overflowing with charm. It offers 2 double bedrooms plus 1 twin room, and will sleep 6 in comfort and luxury. You’ll find a luxurious bathroom on each floor, a large patio which catches the early evening sun, great for al fresco dining and BBQs, or enjoy a cosy night snuggling by the crackling log burner. There’s a beautiful arched window in the lounge, with stunning views across beautiful Brandy Brook. 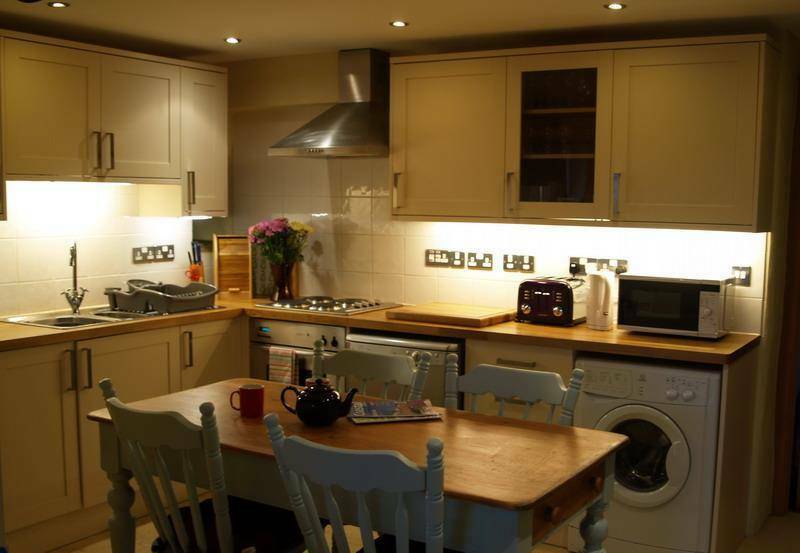 You’ll find a more traditional layout here, with separate kitchen, dining and a living room. There’s a wood burner for those snugly nights by the fire, and fantastic 270° views from the lounge. Don’t miss the patio area, which is perfect for outdoor dining and BBQs.